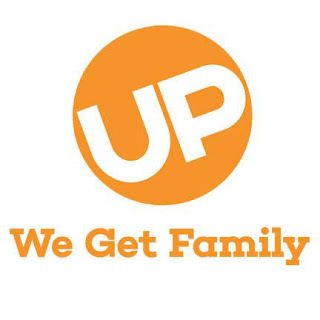 UP TV, the entertainment destination that showcases stories about modern American families and the relationships that define them, announced on July 17 that this Labor Day Weekend, the network is delivering a mother of a marathon celebrating all the heart and humor that comes with the lead-up and arrival of every little bundle of joy. The Labor Day Weekend Event will be filled with kid and baby-themed "America’s Funniest Videos" marathons, a "Bringing Up Bates Baby Special" and special airings of beloved movies "Look Who’s Talking" and "Look Who’s Talking Too," leading into a new unscripted special "Expecting" (working title). “I’m pregnant!”: Words that are often met with immense joy, but also are a complete game-changer. It’s a moment in time that more and more people are capturing on film. Expectant parents often go online to post, view and share every pregnancy milestone from positive test results, to the frantic drive to the hospital, to the main event itself. Expecting is the first show that asks couples to turn the lens on themselves, to give the audience a peek into one of life’s most exciting and personal journeys. No producers. No camera crews. With unprecedented intimacy, viewers witness the highs and lows culminating in one of life’s biggest moments. UP will premiere "Expecting" on Labor Day, September 4 at 9 p.m. ET. In the special, viewers will follow the journeys of Kelsey and Corbin Scott of Portland, Oregon; Tia and Tre Patterson of Atlanta, Georgia; and Ashley and Thomas Hughes of Pleasant View, Utah. "Expecting" is produced in partnership with Entertainment One (eOne). Executive Producers for eOne are Aynsley Vogel, Cal Shumiatcher and Jessica Mathies. 7 p.m. Look Who’s Talking: After a single, career-minded woman is left on her own to give birth to the child of a married man, she finds a new romantic chance in a cab driver. Meanwhile, the point-of-view of the newborn boy is narrated through voice-over. 9 p.m. Look Who’s Talking Too: This time, a new baby is on the way, and it’s a girl. Wrapped together with the standard conflict between mother and father, Mikey engages in a bit of sibling rivalry with his new sister. 9 p.m. Expecting: EXPECTING gives audiences a peek into one of life’s rawest and most exciting journeys in a never-before-seen television event. With unprecedented intimacy, we witness the highs and lows as different couples, along with their families and friends, experience the journey to parenthood with no camera crews and no producers. 9:30 p.m. Bates Baby Special (working title): In this special episode, we relive the births of all six Bates grandchildren and the emotional journeys that went along with each of them.